The magazine rack is overflowing in the intimate single-chair beach-themed salon in Carrollwood. Linda moved to Tampa, FL in 2016 from Sacramento, CA. 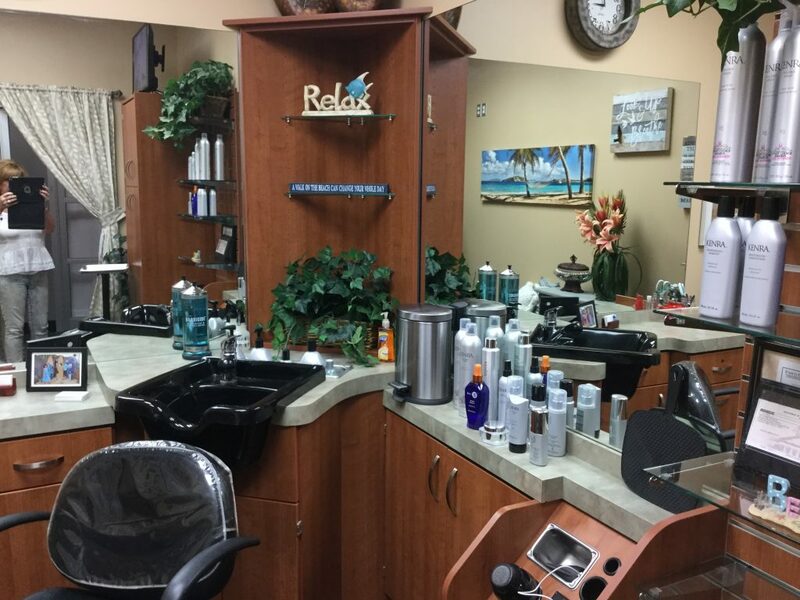 Initially, Linda rented a station at a salon in New Port Richey. After months of working in someone else’s business, she yearned to return to a space of her own. 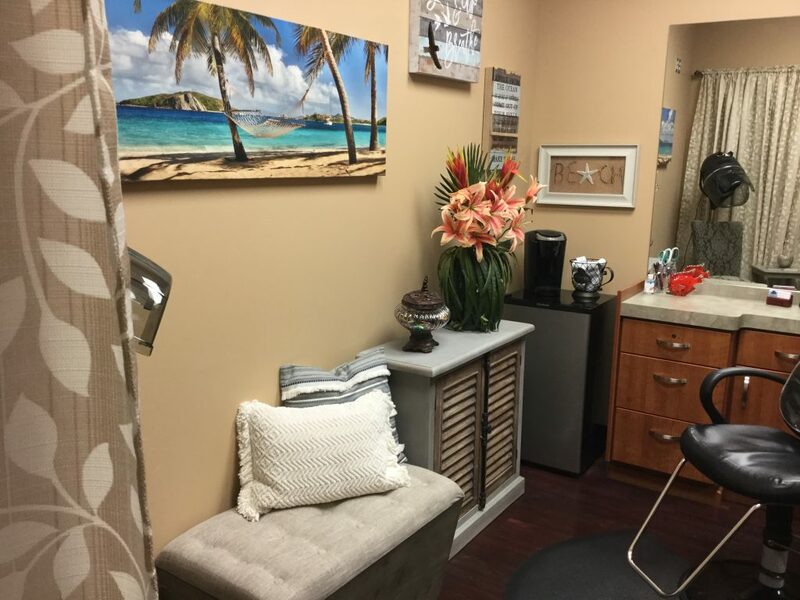 She had worked at a Sola Salon Studios, (an indoor complex filled with private cosmetology businesses), during her time in California and discovered a location on North Dale Mabry. She opened the doors of HAIR by Linda Beach in Sola Salon Studios in November 2017. “I wanted to come back to Sola Salon Studios for a couple of reasons. I am my own boss and I love the fact that I’m one-on-one with my client,” she said. “I knew Sola Salon Studios and how they work. Mary, the owner here, is fabulous. We’re all individual owners and I made my studio my own by selecting paint, furniture, and decorations. 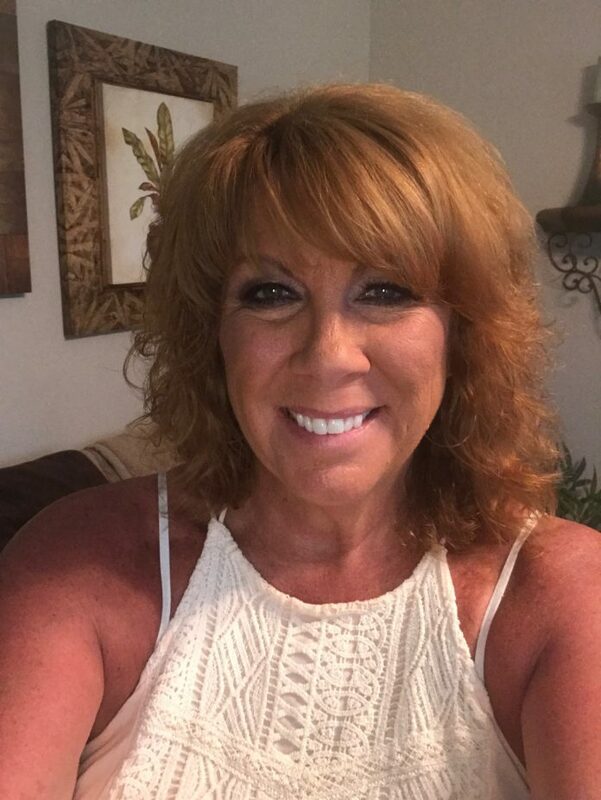 Linda does the basics – cut, color, and perms. Linda said that the most important item she brings to her clients is her ability to listen. Linda loves when clients bring photographs as ideas for particular cuts or color. Besides a selection of unread magazines near a comfy couch adorned with fuzzy pillows, Linda makes her clients feel at home by offering a selection of soda, water, and later in the day, wine. Positive reviews prove she is doing exactly what is needed for her clientele. HAIR by Linda Beach is located in Sola Salon Studios #9 at 15241 North Dale Mabry Highway. To make an appointment, call Linda at 916.390.2527 or email her at lindagbeach@outlook.com. For more information and testimonials visit www.hairbylindabeach.com.